It’s 1991. The Cold War is over. Charlie Stone is a brilliant analyst for the CIA who made a name for himself during the height of the Cold War. But today his expertise is needed yet again: A top-secret tape—one that foretells a coup d’état in the Kremlin—has been smuggled out of the Soviet Union by one of a few remaining moles. Stone’s assessment of the transcript is two-fold: Not only is a very real, very violent power struggle underway but the plot may be linked to an old mystery involving the imprisonment of Stone’s own father. Could a McCarthy-era enemy be trying to send Stone a deadly modern message? Soon Stone finds himself at the center of another conspiracy—framed for a grisly murder. Without proof of his innocence, Stone enters into a terrifying game of cat-and-mouse that leads him across the country, throughout Europe, and finally, to the Soviet Union. There, he will come face to face with a group of Kremlin insiders whose ruthless agenda threatens to disrupt the fragile balance of world power—and leave Stone with nowhere left to run. But before he can thwart a tragedy of epic proportions, he must put a stop to the elusive ways and means of THE MOSCOW CLUB. Original edition February 1991. 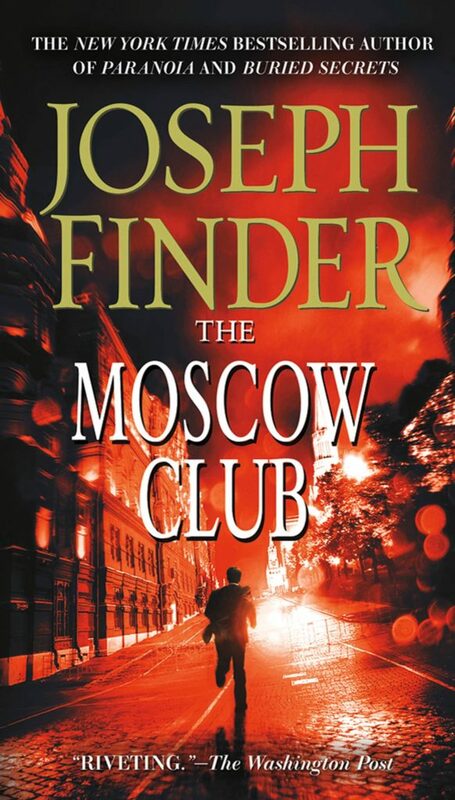 THE MOSCOW CLUB predicted the actual coup d’etat that led to the end of the Soviet Union. "Superb . . . easily transcends the thriller genre." "A knockout . . . compulsively readable." "Superbly exciting….Surpasses both Forsyth and Ludlum." "One of the best novels yet written about political conspiracy." At ten minutes past midnight, the chauffeur neatly maneuvered the sleek black Chaika limousine up to the main entrance of the yellow brick residential building on Aleksei Tolstoy Street and put the car in park. Hastily he opened the door for his passenger, an extremely highly placed member of the Central Committee, who emerged with barely a grunt of acknowledgment. The chauffeur saluted, because he knew his boss enjoyed such signs of respect, returned to the driver’s seat, and prayed that the anxiety in his eyes had not been visible. When the car was sufficiently far from the building’s front door, he popped a Bruce Springsteen tape that his wife, Vera, had bought on the black market into the tape player and turned up the volume so loud that Springsteen’s raspy voice rattled the limousine’s instrument panel, the thump thump of the bass no doubt audible even outside the heavy armored car. He needed the music’s raw power, the familiar tune, to calm his nerves.